A report released March 3 by the California Community College Chancellor’s Office linked 55 of American River College’s vocational and “skill building” programs to an increase in income for students enrolled in the programs. The programs, which included technical education and other vocational programs, showed an increase in the median income of students enrolled in these programs for just one year. Career technical education and vocational programs are those programs which provide job training and career-specific classes, and do not necessarily require a Bachelor’s degree to get a job in the field. Some of the highest earning job fields were law enforcement, which showed a 99 percent increase in median income after one year in the program, and commercial music, which showed a 93.6 percent increase. Twenty-seven fields total showed an income increase of 20 percent or more. Comparatively, the statewide median income increase was just 13.6 percent, with an average wage gain of $4,300 per student. The top five programs for income advancement at ARC were law enforcement, commercial music, fitness training, construction crafts technology and marketing and distribution. 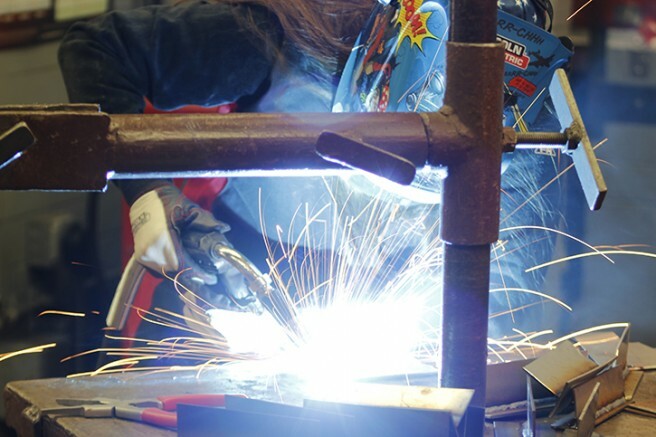 Among the other top programs were welding technology, automotive technology and culinary arts. Former California Community Colleges Chancellor Brice Harris, who was chancellor at the time of the report’s release but who retired earlier this month, said in a press release that he was pleased with the results. “We finally have a way to measure these successes and demonstrate the tremendous return on investment that these courses provide. A wage gain of $4,300 for courses that cost $46 a unit is a phenomenal value for students and the state,” said Harris. Jeff Strohl, director of research at the Georgetown University Center on Education and the Workforce, said in the same press release that California is a leader in the nation in understanding pre-baccalaureate education. “The work on skills builders … is forcing a pause and reset in how we think about college dropouts by revealing that many students have figured out how to effectively engage the postsecondary system at low cost with high returns,” said Strohl. This research, as Strohl suggests, shows the ability of students to advance themselves in their fields and their educations without ever graduating. Statewide, the total wage gains for technical and vocational students as measured in 2013-14 were $498 million. ARC student Jessica Shelton said that she thinks the data is impressive. Be the first to comment on "Report shows increased income for ARC vocational program students"